Is the EBOLA outbreak being STAGED? BREAKING Evidence! Disturbing EVIDENCE showing knowledge of a possible outbreak months ago! Thanks to TeriCanDoIt and Gloria Glenn! Is Ebola already here? Says so on the outbreak map of USA. Why would a near death very infectious patient walk into the hospital after being flown in from Africa. Is this Dr already dead? 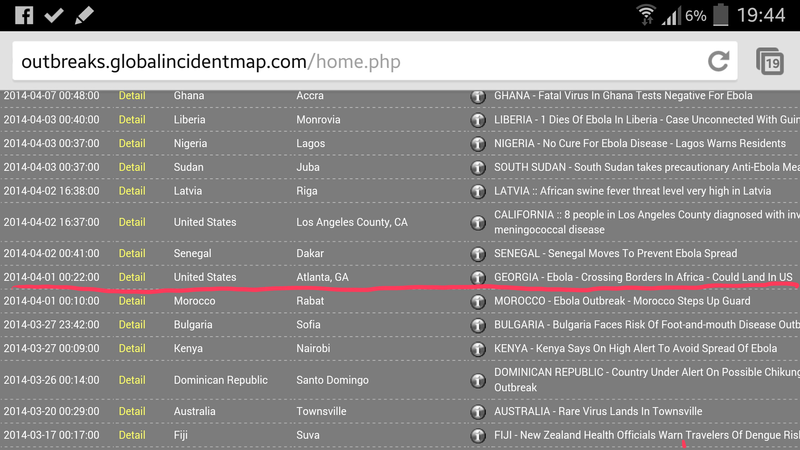 Ebola infected Dr. being treated at Atlanta’s Emory Hospital Died july 28th! JUST A TASTE… of what is to come. Marilyn MacGruder Barnewall is currently recording the chapters of Americans: Wanta Be Free. So you’ll know what to expect, here’s a link to the Introduction from the book. A price for the complete audio set has yet to be determined (we aren’t yet sure how many DVDs will be required for the total recording, what the weight/cost of the mailing will be, cost/size of mailing container, etc.). Until then, this audio recording by Marilyn of the Introduction to Americans: Wanta Be Free will let you know what you can expect in the very near future. Enjoy! 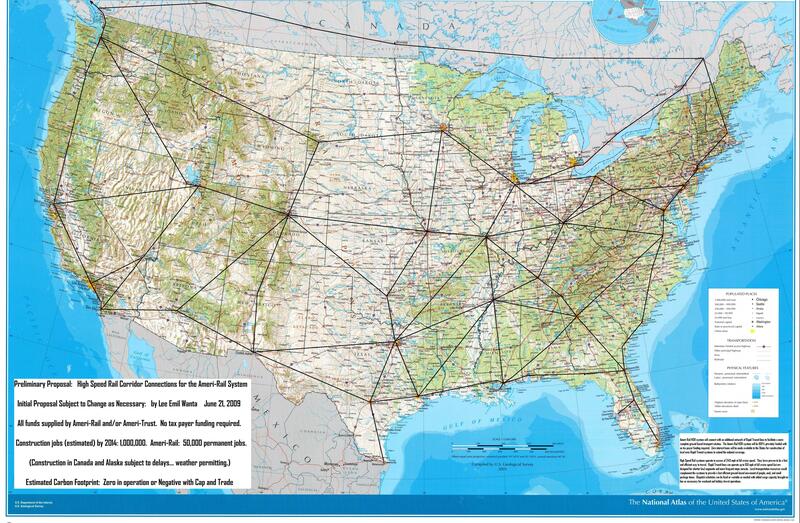 The key to America’s future is a grid criss-crossing the country. This project could bring this country back from the brink of DEPRESSION. Where is it? Why isn’t it being built? Especially when it’s at no cost to taxpayers! We as Americans must wake-up and demand this project move ahead, for the good of us all. IMF President Christine Lagarde had notified U.S.
A total Western Media Blackout of the Massive anti-austerity strikes and protests swept across Europe as millions took to the streets to express their frustration over rising unemployment, austerity, injustice, an end to the “war on terror,” an end to the surveillance society, justice to the banks who stole nations worth of wealth, and noise to the dire economic prospects ahead. Many rallies ended with violent clashes with police. Workers marched in 23 countries across Europe to mark the European Day of Action and Solidarity. 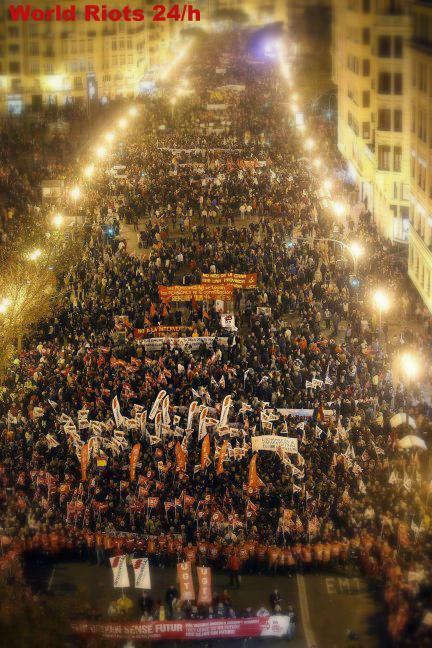 General strikes had been called in Spain and Portugal, paralyzing public services and international flights, in Belgium and France transport links were partially disrupted by strikes and demonstrations, in Italy and Greece thousands of workers and students marched through the streets. Other EU countries, such as Germany, Austria and Poland, saw well attended union-led rallies. The Europe-wide strike action, the largest in a series of protests against the austerity policies, was coordinated by the European Trade Union Confederation (ETUC) and promoted on Twitter under the “14N” hashtag. Ann Barnhardt, At her Best ! Here is the link to the workbook in PDF. 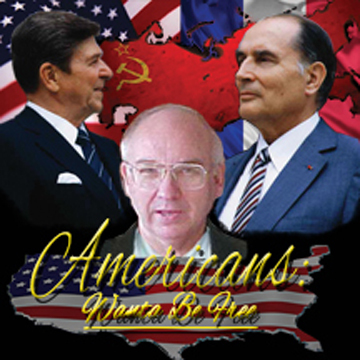 Ambassador Leo/Lee Emil Wanta re: WANTA-REAGAN-MITTERRAND PROTOCOL FUNDS. On October 31, 2012, Marilyn Barnewall received the following email from Ambassador Lee Emil Wanta. She could not send it to us immediately because the email addresses first had to be removed. Since she’s a little busy writing the Ambassador’s biography, it took her a day to get it to us for publication. When she received the Tom Heneghan Briefing this morning, she immediately stopped writing long enough to clear the emails and get this information to us. People will not recognize most of the email names… they are members of the Austrian government. It appears to Marilyn that Ambassador Wanta is telling the American government he has had enough of their game playing with his money and that rather than accept the agreed upon $4.5 trillion by repatriating the funds to the United States. He warned them in 2008 that if the Americans did not want the $1.575 trillion in taxes he would pay on the $4.5 trillion that he would reclaim ownership of the entire $27.5 trillion and work with the Austrian government to retrieve the total amount of his funds from that country. It should be made clear that Wanta never gave up ownership of the entire $27.5 trillion, he only agreed to accept $4.5 trillion in settlement… and then Treasury Secretary Henry Paulson reneged on the deal and “kidnapped” the funds. It appears the Ambassador’s statement to European leaders about moving back to Austria where he has legal residency and working with the governments of Europe, particularly Austria, to gain possession of what is lawfully his may have stimulated the U.S. Supreme Court to take action on Wanta’s behalf… that’s the way the Tom Heneghan’s Intelligence Briefing this morning makes it appear, anyway. SEE ATTACHMENT. Public Official fights for her County. The Montgomery County Pennsylvania Recorder of deeds, Nancy Becker has sued for all “like situated” in Montgomery County (approximately 130,000 MERS households of mortgages) for “Quiet Title”. This is HUGE in my opinion. The court has denied MERS (defendant’s) request for dismissal of the suit. The court did dismiss the portion of “Civil Conspiracy” of the suit. What Nancy Becker did was to bring a suit to require assignments and the transfer fee (about $45 each one) to be recorded. The whole suit is due to the county losing money due to MERS fraud of not recording the assignments of loans. How did she get the idea to bring a carte blanc class action Quiet Title suit for all homeowners of the county? She got it from the defendants brief in another suit when she tried to get assignment fees for previous and current loans. That suit did not go through but from the defendants own defense they had in the brief that only through a “Quiet Title suit” are they required to show assignments. (page 24 of the scrib document below). So from that and putting in the defendants own words, she has now brought a “Quiet Title” suit for all the homeowners in the county. She has all the information in the fact she has a right to bring a Quiet Title suit in the filing. It is a GREAT read and an easy one to understand. She has made the news before about standing up to the MERS fraud and the county losing money. Visit this Website to view the court Documents and follow developments on this Story. Urgent BREAKING NEWS! As this book, Americans: Wanta Be Free, is being written REAL time, Tom Heneghan, reporter, investigative journalist, stock broker of many years and US Whistle Blower reported on Oct 12, 2012, via very credible inside information that THE SCOTUS were meeting until late into THIS night OVER the Wanta-Reagan-Mitterand Protocols.Obviously, Nancy Reagan’s Affidavit provided QUITE…. a STIR. IT CLAIMS, in simple laymen’s terms,….ON March 13, 2003…A ‘’’Waiver of right’’’ of respondents John G Chandler, WI Dept of Revenue AND John D Ashcroft, US ATTORNEY GENERAL. IT FURTHER CLAIMS, On April 16, 2003, It would be DISTRIBUTED for Conference of May 2, 2003. IT FURTHER, FURTHER CLAIMS, On May 5, 2003, THE Petition was DENIED!!!! Hmmmm….Curious timing AFTER ALMOST 10 YEARS! NO ONE prior to this book’s Introduction has seen NOR heard of this SCOTUS ruling! USE LINK ABOVE FOR DOCUMENTS AND MARILYN”S NOTICE. Barnewall’s company (she is retired) specialized in market segmentation strategies designed to identify affluent and middle market customer niches. She started the first wealth creation private bank in America. She devised products and strategies to assist banks in marketing effectively to affluent and about- to-be-affluent clients that emerged into a capital source for new start-up businesses and new job growth. Strategies included loan quality, credit philosophies, loan policies, procedures, risk analysis and profitability analysis. For five years, Barnewall researched private banking profitability and published a survey each year. As a result of her work, she coined terms like “upscale,” “active investor,” “passive investor,” inter alia. Her research became known as the Active/Passive Energy Syndrome (APES) and included interviews with 5,000 of America’s self-made affluents. Prior to establishing the Agency and in the early 1970s, Marilyn was employed by United Bank of Denver. She was United Bank’s (Denver’s largest) first female vice president to manage major deposit and loan portfolios. Prior to starting the first private bank in the U.S., she was also Customer Communications, New Product, and Marketing Manager. Until 1992, Marilyn was a frequent speaker at a multitude of national and international conferences. In addition to numerous speeches made for the American Bankers Association, Bank Marketing Association, and state banking organizations, her speaking engagements include the Third National Canadian Retail Banking Conference (March 1988), the First National Retail Banking Conference in Sydney, Australia (November 1988), the International Private Banking Conferences in London (6/88) and Zurich (6/89), and in August 1991 she taught private banking in Singapore. For several years she taught private banking at Colorado University for the American Bankers Association. Quoted in Time, Forbes, Wall Street Journal, and many other national journals and newspapers in the U.S. on issues dealing with banking and economics, she also served as U.S. editorial consultant for Private Banker International (Lafferty Publications, London/Dublin). Marilyn has written several books about private banking. One, published by the American Bankers Association, sold for two years at $5,000 per copy ($3,250 per copy to ABA members). The book sold internationally through Lafferty Publications, London/Dublin, at 1300 British Pounds Sterling per copy. Another book was The Warren, Gorham & La Mont (New York) Private Banking 1987 Profit Survey ($2,000/copy). She has written extensively for The American Banker, Bank Marketing Magazine, Trust Management Update, and many national newspapers and magazines. In 2003, she began writing for online news publications World Net Daily, Canada Free Press, and News With Views, among others. Marilyn received her graduate degree in Banking from the University of Colorado Graduate School of Business in 1978. She was named one of America’s top 100 businesswomen in the book, What It Takes (Dolphin/Doubleday; Gardenswartz and Roe) and was one of the founders of the Committee of 200, the official organization of America’s top 200 businesswomen. Taught private banking for the Bank Marketing Association and American Bankers Association at Colorado Univ. Testified before the State Legislature (House Finance Committee) on the state of readiness of Colorado’s banks to comply with the Equal Credit Opportunity Act, 1977, legislation Barnewall worked to get passed. Expert Witness, First National Bank of Chicago v Shearson Lehman, Chicago, October 1990.